Last post 05-03-2018 05:08 PM by Swampy. 12 replies. I just bought a generic windscreen from Germany for my Honda Dio. There were no instructions but it appears you need to remove the mirror stalks to fit the brackets. This looks like a job for the dealer but I am reluctant to take it to them for fitment. Has any Dio owner/riders had the Honda windscreen fitted, and is it worth doing? The price difference was considerable from the genuine to the generic windscreen so if the benefits of having a windscreen on the Dio are not worth it I might give it a miss altogether. Any thoughts? I mainly ride around the back roads in the Macedon ranges area at about 80kph so the benefit of a windscreen might be limited. Would that be the little Puig screen for the Vision/Dio Swampy? I'm not sure what comes with the mounting kit, but it should be a relatively easy fit. Are there adaptors that screw into the original Mirror threads, adaptors that eleveate the mirror posts? No instructions Aspro boy but it appeared you have to remove the mirror stalks. I fitted it with two P clamps but it kept blowing down at 60kph. I saw it on Ebay and got it delivered in a week from Germany. Good service and at $88 delivered a good price. It said 88 Euro but they only charged me A$88. The Dio is coming up for the 4000k service so I might bite the bullit and get the real Honda windscreen fitted. I don't know what the benefit will be, maybe less cold wind on my chest which would be a plus around here. I was in Melbourne today and saw quite a few Dio's but none with windscreens. Hardly any othe scooters had them either but they are ridden in Melbourne metro. I think more than in the country. I'll look on the web for you to see if there exists some fitting instructions, Also, without included instructions, you can't know if anything is missing. Puig should have been a workable solution. I had considered that option myself a while back. Interesting in that My Dio is booked for a 4K service this Thursday. Two years old and a fantastic little scooter for inner metro work. It just seems to get better. Even though it is not due for a replacement plug I will seek to have that changed also. 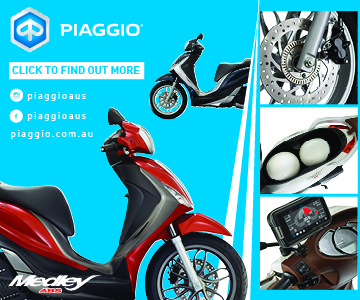 There are heaps of Dio, Suzuki Address and the Sym Orbit 11s operating around these parts. And it no surprise to me either. Not a single one with a screen though. Lots of food delivery boxes instead. Yes there are a lot of food delivery scooters of this size in Melbourne as well. That little bit more power above the 50cc models is better I think for delivery purposes. I had a look at the Puig windscreens and they are just like the one I bought from Germany. They require the removal of the mirror stalks for fitment and that looks like a dealer job. I tried to unscrew the mirrors but no go, for me at least. Still thinking. There appear to be adaptors for the Puig Traffic screen for the Vision/ Dio. Observations are that they screw into the original thread when the mirrors are removed. The screen supporting brackets are secured by inserting/screwing the mirrors into the top of the adaptors - well, that's what I can observe. Should make for a simple installation, as claimed, if the parcel was inclusive of necessary parts. I'll be pleased when my Dio is back in my garage after its scheduled service. Success Aspro boy. A nice young man in India had a video on Utube that showed how to remove the mirrors. The reason I had no luck is the mirror stalk is left hand thread into a right hand lock nut. I was trying to tighten them all the time. The windscreen is fitted and at 60kmph it feels good. I will take it out and run it up to about 85kmph which is about the highest speed I cruise at, and see how it goes. The tinted Scoopy screen looks nice though. Hmm. Good old UTube. I have used posted clips to navigate my way around other technical issues, especially with my Bromptons. Don't forget to post performance results for the screen at 80kph. Tap-dance again soon. Bit the bullit today and got the Honda windscreen fitted at the 4k service. The cheap one I got a few months ago was pretty hopeless. It folded over towards me at about 70kph so not rreally a good item. It will take awhile to get used to compensating for side winds but it seems to be pretty good all round. Had it up to 90kph on the ride back from Kyneton and it felt a lot less noisy and even quicker on the pickup. That might have been more to do with the new plug etc. maybe. I'm looking forward to riding in the colder weather we will get here pretty soon and being a little bit less battered by icy wind. I know why you keep the Dio as it really is a great scooter. I requested a new Dio plug at the 4k service, but they talked me out of it. The book suggests 8k change, but I would rather have had the new plug. Water under the bridge now. I don't like cold weather riding any more. I enjoy it but my body does not. It wasn't a problem 40 years ago. Did they need to order the screen from Sydney for you? The screen was in stock in Melbourne so it was sent to Kyneton where I bought the scooter. Only took two days so no problem for fitting during the service. One interesting thing I noticed was I could hear the engine noise more clearly, and I had to keep my head a bit lower as the screen rim was in my eye height/view. A few bugs weren't happy either.